This past week has been a little too fun for me. After I finished my math final exam I kinda celebrated a little too much with my kids....at the snoball stand, at the store, at home. Then there was the 2 mom night out's I went to. Painting nights at both :) Which were awesome but I had ice cream, cake, muffuletta mini sandwiches, etc. Oh and my husband brought home donuts yesterday morning and I ate two, plus we went out for dinner with the kids and to the movies to see Guardians of the Galaxy. The bright side? I didn't let it turn into a mindless downward eating everything in sight spiral. That spiral which I think we all know well. The I-screwed-up-so-I-might-as-well-throw-in-the-towel-and-eat-everything-on-earth-just-because-I-wasn't-perfect spiral. Why do we do that to ourselves? Would we smash our phone until it breaks because we accidentally dropped it? I know I'd cry if I did that to my iPhone lol those suckers are expensive....so why don't we treat ourselves as something expensive too? So what's for dinner this week? Have you stumbled recently? 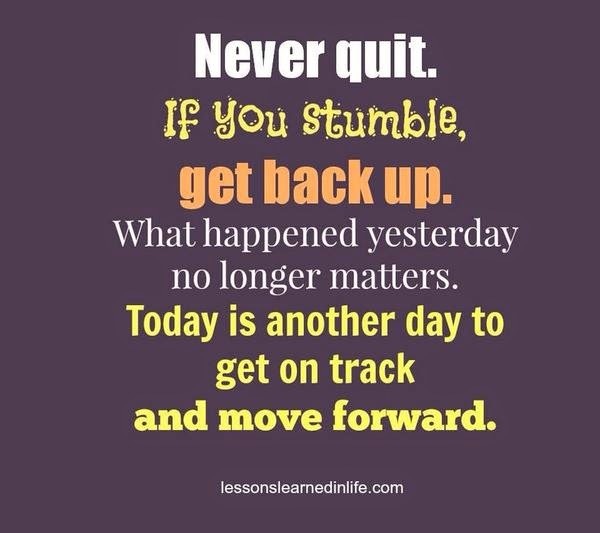 How are you going to get back on track?